Crane and hanging scales are ideal for commercial and industrial uses. Use a crane scale for measuring very heavy objects. Hanging scales are ideal for weighing items sold by weight. 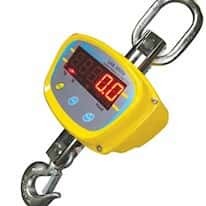 We have a variety of crane and hanging scales in different weight ranges for your needs.